Or at least I did, until too recently… I’m referring today to the idea that when Jesus questions the Samaritan woman at the well about her husband in John 4—and exposes the fact that she’s been married five times and is currently living with a man outside of marriage—he isn’t speaking literally; and the woman herself understands this. Or if he is speaking literally at one level, he isn’t judging the woman for her sexual sin; rather, he’s using her sexual history to make a point about Samaritan idolatry: her five husbands represent the five deities worshiped by the nations that settled Samaria after the Assyrian conquest. Again, this very perceptive woman understands what Jesus is up to. Of course, since “John” (whoever he is) often doesn’t bother to narrate historical events, the Samaritan woman is probably only a literary character anyway. 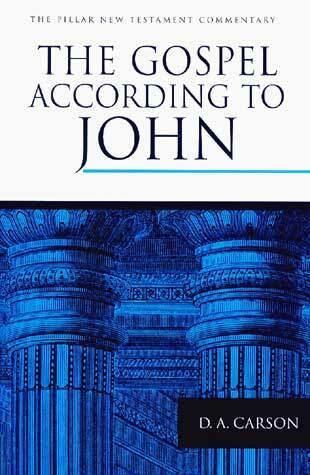 Sandra Schneiders teaches this in her commentary on John. Gail O’Day does the same in hers. My professor at the time made the same point. The most common allegorical interpretation of John 4 holds that the five husbands represent five pagan deities introduced to the residents of Samaria by the settlers who were transported there (cf. notes on 4:4) from five cities in Mesopotamia and Syria (2 Ki. 17:24); the Samaritan woman represents the mixed and religiously tainted Samaritan race; and the sixth man, to whom the woman was not legally married, represents either another false god or, more commonly, the true God to whom the Samaritans are connected only by an illicit union. In fact, the details do not work out. The transported settlers originally worshipped seven pagan deities, not five… and these gods were all worshipped at the same time, not serially. Moreover, although it is true that John frequently uses institutions and details in symbolic ways…, his symbolism in such cases is not only commonly predicated upon larger typologies connecting Jesus with the Old Testament, but in any case the symbolic value is tied to broader and demonstrable themes in the Fourth Gospel. The proposed symbolism in this instance fails both tests. 1. D.A. Carson, The Gospel According to John (Grand Rapids, MI: Eerdmans, 1991), 232-3. This entry was posted on	March 3, 2016 at 1:46 pm	and is filed under Uncategorized. Carson is a rock solid teacher. PS: I want to take the opportunity to comment on the movie “Risen”. I just got home from seeing “Risen”. I thought that they used the vehicle of “historic fiction” to tell the story of the resurrection and appearances of Christ very effectively, without doing damage in any way to the Biblical story, as we know it. The actor they chose to portray the Christ was really consistent with my own imagining of how Jesus might have looked and acted. (No blond haired, blue-eyed gentile here). The warmth and happiness he radiated struck just the right balance for me. There is a little too much graphic violence for me to recommend the film for anyone under the age of 13, or anyone sensitive to that sort of thing. However, the violence was used effectively to convey the horrific nature of the cruxifixction.